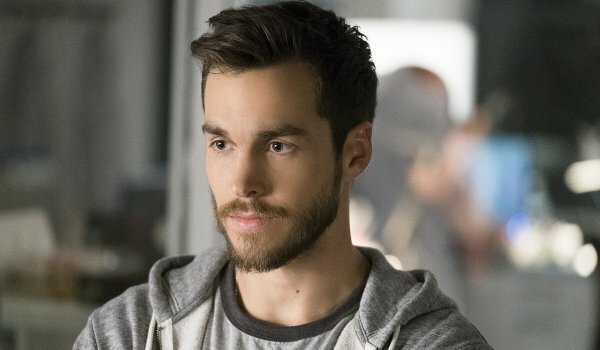 "Wake Up" marks the return of Mon-El (Chris Wood) to Earth when he's found aboard the sunken alien spacecraft we've seen glimpses of this season. Initially overjoyed to have him back, Kara (Melissa Benoist) becomes concerned about his troubling behavior (which is never adequately explained), reluctance to talk about what has happened to him, or explain the spaceship or the its other slumbering passengers... including the woman who is later revealed to be his wife (Amy Jackson). The revelation of Mon-El's time in the future and the introduction of Saturn Girl (Amy Jackson) marks the show's first steps to introducing an important piece to Supergirl's comic history as she meets her first member of the Legion of Super-Heroes. Could Supergirl be up for some time travel of her own? While we get a few scenes with J'onn (David Harewood) and his father (Carl Lumbly), the other major storyline involves Sam (Odette Annable) who confronts her adopted mother about her origins leading to her learning the truth about who and what she is. The introduction of a Kryptonian spaceship and recreation of the Fortress of Solitude in the dry desert works well mirroring her journey to discovery from that of Superman. The explanation of her genetic creation and daughter explains partially why her powers had yet to manifest, at least as far as comic book logic can be stretched, but it appears any specifics about what her true purpose is will have to wait until after the crossover to Earth-X.